While the wine color itself may not contribute significantly to the pleasure the wine brings you, it can tell you a lot about the wine in the glass before you even raise it to your nose or lips. However, there are also some misconceptions about how to interpret the appearance of a wine. When learning how to taste wine it is important to focus first on the appearance of the wine and make note of it in your wine tasting notes. 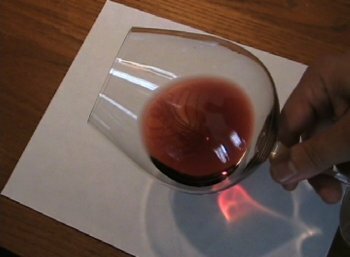 How to Assess Wine Color and Appearance - Before you can look at the wine color accurately, there are a couple things that will help your job (I wish all "jobs" were this fun!). First of all, you need to have a totally clear wine glass. Wine glasses with patterns or some color tint will not do as they will change the color of the wine you see in the glass. Secondly, it helps to have the proper background to view the wine over. If your table is anything but white, then its color can influence how you see the wine as well. If all else fails, we like to have a sheet of plain white paper in front of us which we can tip the glass over to view the color. Finally, you need ample lighting as darker light will deprive you of the brilliance of the wine color and can make a lighter wine appear darker than it really is. So how do you do it? Simply look at the wine in your glass. To get the best look at the color, tilt the glass sideways over a white surface so that you can see through the flattened out wine to fully assess its color and depth. Type of Wine - Obviously, different types of wines will have dramatically different wine color. For example, white wines tend toward the more clear yellow and gold end of the spectrum while red wines can vary from light red to deep purple. Rosé wines are somewhere in between. Additionally, your expectation of what a wine should look like depends on the type of wine in question. For example, while many Cabernet Sauvignon-based wines will be dark purple or even close to opaque, Pinot Noir-based wines tend to be lighter with less depth of color and a lighter hue. Is the color of the wine appropriate for the type of wine you are tasting? You will learn this as you go and get more experience with different types of wines. Depth/Opacity - The wine color's depth or opacity is a measure of how dark it is. Can you easily see through the wine to the other side or is it deep and dark and impenetrable? As an example to compare to, think about white grape juice versus regular purple grape juice. While you can see right through the white juice, you may not be able to see the other side of the glass through the dark dense purple grape juice. Descriptors you can use to describe the depth of color include watery, pale, medium, deep, dark, or opaque. Hue - The hue of a wine color is the actual color description. What color would you describe it as? No answer is wrong, just describe what you see. For white wines some common descriptors could include everything from greenish to yellow, straw yellow, gold or amber. For red wines, while young wines are often somewhere from purple-red, ruby, to garnet or even blackish, older wines can be brick colored or even slightly brown. Rosé wines range from pink to salmon and orange. Take note if the color hue is consistent throughout the glass or if it varies. Some wines, particularly older wines will start to show color changes around the edges, such as "bricking". Oxidized wines which are over the hill may even turn brown. Clarity - Most wines are relatively clear. The opposite of clear would be cloudy, similar to unfiltered apple juice. Describe if the wine is completely crystal clear or does it have a slight haze or is it even cloudy? Many of the best wines are unfiltered to avoid stripping the wine of its precious aromas and flavors. In this case a very slight haze can be normal or even a good thing. Additionally, old wines sometimes throw a sediment of solid material in the bottle. Ideally this is filtered out by cheese cloth or the wine is carefully decanted to avoid pouring the sediment (the sediment is not toxic though, it is perfectly okay to drink it but can be a bit bitter). 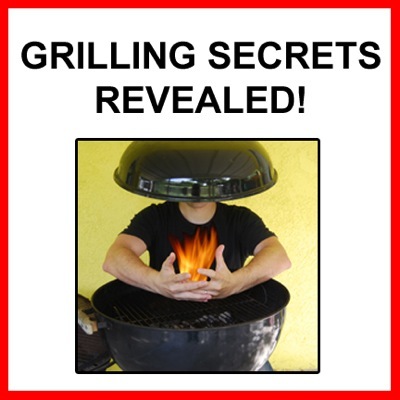 However, if this is stirred up with the wine it can give the appearance of a slight haziness. Generally, more severe cloudiness in a wine is considered a flaw. Viscosity: "Legs" - This is one of the areas of greatest misconception in wine tasting. Many newbies will always comment that a wine has great "legs" as if that proves the quality of the wine. The wine legs are the stripes of wine that slowly roll down the sides of your glass after swirling the wine. The reason that this is a misleading characteristic of a wine's appearance is that there are several things that influence how pronounced a wine's legs will be. Basically, the legs are a measure of the viscosity of the liquid in your wine glass. The more viscous, the more pronounced legs. But do an experiment, pour some honey in your glass and roll it around to coat the sides before standing your glass up on the table. You will see some serious legs! This doesn't mean your honey is a good wine, what it means is that your honey has a high sugar content. Sugar concentration is one of the several things that can influence the wine legs. The more sugar, the more viscous. Therefore, sweeter wines such as dessert wines will always have much more pronounced legs. Another thing that increases the viscosity of wine is the alcohol content. Alcohol is more viscous than water so wines with more alcohol will have more legs. If you don't believe me look at the legs on a glass of hard liquor. For both of these reasons, fortified dessert wines, like Port or Madeira, tend to have the most profound legs of any wines, because they have both high sugar and high alcohol. Finally, the wine legs can be influenced by other things such as the concentration of solutes dissolved in the wine. In other words, a wine with more concentration of compounds dissolved into it will have a slightly higher viscosity and thus more legs. For this reason, big, dark, heavily extracted red wines tend to have more legs than lighter wines. That's it! I hope this helps you get started in evaluating wine color as part of your next wine tasting. To move on to learning about using your nose to evaluate the smells of wine, go on to the Wine Aroma page. Done with the Wine Color page? Return to the How to Taste Wine page. 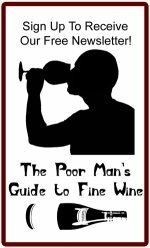 Return to the Wine Tastings Guide home page.